If you are renting a place to live in Oregon, or if you rent out units as a landlord, it is important to familiarize yourself with OR landlord tenant law. Oregon landlord tenant law spells out specific responsibilities for renters and property owners, as well as rights for both parties. This guide will teach you the basics of landlord and tenant responsibilities according to OR landlord tenant law. For more in depth information on Oregon landlord tenant law, or for legal advice about a problem with a lease, you may want to talk to a landlord tenant attorney. Tenants have a few basic responsibilities according to OR landlord tenant law. Perhaps the most obvious of these responsibilities is to pay rent on time. Tenants who do not pay their rent may be subject to eviction according to Oregon landlord tenant law. 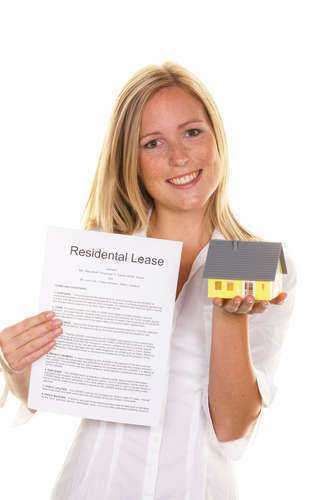 You must also abide by the terms of your lease, provided your lease does not violate tenets of OR landlord tenant law. Tenants also have a responsibility not to damage their dwelling. While normal wear and tear is not considered damage in Oregon landlord tenant law for the purposes of eviction or security deposits, tenants who cause too much damage may be evicted. Landlords are required to do several different things according to OR landlord tenant law. All landlords must provide tenants with a habitable dwelling. Oregon landlord tenant law requires a unit to have safe hot and cold drinking water, a functional heating system, electricity, and functional windows and doors. In addition to these requirements, OR landlord tenant law specifies that a habitable dwelling must be free from pests and that appliances must be in good working order. A landlord is also responsible for ensuring that a tenant is allowed “quiet enjoyment” of their unit. This means that landlords may not, according to Oregon landlord tenant law, enter an apartment or home without giving adequate notice. The only time when OR landlord tenant law allows a landlord to enter without notice is when an emergency repair needs to be completed. Landlords must make needed repairs to a dwelling if it falls into disrepair and notice is given by the tenant. If a landlord fails to make needed repairs, a tenant is allowed by Oregon landlord tenant law to break his or her lease and move out. Tenants are also allowed by OR landlord tenant law to withhold rent until the issue is fixed. If a tenant fails to pay rent or breaks a provision of the lease, Oregon landlord tenant law allows the landlord to begin eviction proceedings in court. OR landlord tenant law does not allow landlords to initiate a “self help” eviction by changing a tenant's locks, shutting off utilities, or removing a tenant's belongings from their home. All evictions must be handled through the court system, and can only be performed by your local sheriff, not your landlord personally.